Easy to deploy. Easy to control. Get on the fish and stay there with the new Minn Kota® Terrova Trolling Motor. Equipped with the latest version of the revolutionary i-Pilot control system, the Minn Kota Terrova with i-Pilot is among the easiest, most intuitive, most advanced trolling motors on the water. Control every function from the palm of your hand, or use the newly redesigned foot pedal for responsive, precise control from anywhere on your boat. Deploy the Auto Pilot feature and let the motor keep you on course automatically. Use iTracks to memorize and return to your most productive trolling patterns. And use Spot Lock GPS anchoring technology to keep you on your hot spot, even in windy conditions. In addition, the Terrova's innovative lift-assist stow/deploy mechanism makes it effortless to deploy and stow. Plus, a master cut-off switch automatically turns off the motor when stowed. i-Pilot® gets you there. Keeps you there. And brings you back. The revolutionary Minn Kota® i-Pilot delivers speed, steering, Spot-Lock, and the ability to record and retrace paths on the water, all at your fingertips. Redesigned remote with larger LCD screen that's fully viewable in sunlight and features expanded menu navigation and more intuitive controls. Advanced Auto Pilot allows you to chart a course and stay on it without lifting a finger - the motor does all the work while correcting for wind, waves and current. CoPilot mode allows you to control speed, steering, prop on/off and high-speed bypass from your i-Pilot remote control. iTracks allows you to create, store, retrace and return to your most productive trolling paths. Spot-Lock GPS anchoring helps you hold on a fishing spot like glue. Cruise control with precise speed settings controllable from your i-Pilot remote. Push-to-test battery gauge provides instant "state of the charge"
Shaft Length: 45" or 60"
Minn Kota Terrova 80 lb. US2 i-Pilot Trolling Motor, 24 Volt, 45 Shaft or 60 Shaft is rated 4.8 out of 5 by 4. Rated 5 out of 5 by Swbuck from Purchased the Ulterra 36v 112lb thrust with ipilot An honest review. I just replaced the 36 volt Terrova with the 2018 Ulterra. My Terrova did fine but the spot lock, anchor mode was complete junk. It wouldn't hold within 20ft of a marked spot. I had to manually keep the boat in a certain spot. I tried everything. I figured I would purchase the Ulterra and see if the anchor mode was any better. If not, it was going back. I am a striper guide and being able to stay in one spot is very important when fishing sinkered baits. I've used the new Ulterra for 3 days now and I can honestly say the anchor mode works flawlessly so far. I bet my boat hasn't moved 5 feet from where I hit anchor mode. Very calm days which make it even tougher, it hasn't let me down. Completely amazed. The remote is a bit confusing but I am getting use to it. Rated 5 out of 5 by BuckSkeet from Love my new Terrova w/ Link Just bought the 80lb 60" shaft Link model Terrova. Was a little more than I wanted to spend but sure glad I did. Really like the new touch screen remote and the follow the contour option is so nice. Upgraded to an 80lb from a 55lb. Really nice on windy days. Spotlock is a game changer. 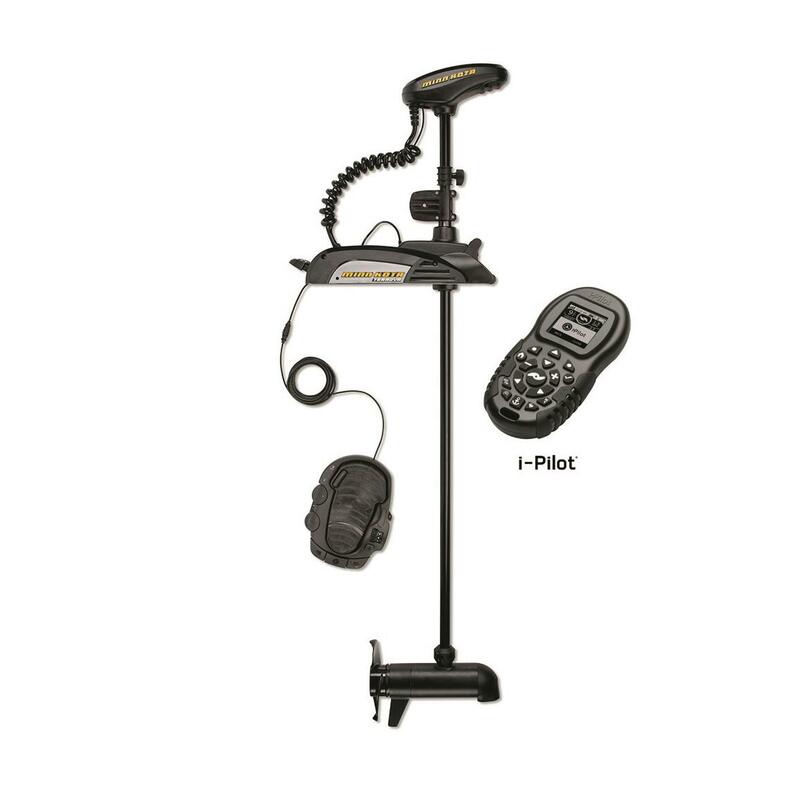 Rated 4 out of 5 by patn from Nice trolling motor This is a nice heavy duty trolling motor. Installation was a snap. I have not been able to use the unit on the water yet as it is still too cold, but I have tested it out. Rated 5 out of 5 by mark s from A game changer Ive been fishing for many years including a tournament circuit and this product has changed everything.Battery drain is about half with this unit and the I-pilot and spot lock features make fishing even in the strongest wind a joy.also the best vulue was here with spotsmans guide. Minn Kota Terrova 112 lb. US2 i-Pilot Trolling Motor, 36V, 60"